Nothing scares us quite like death. It seems like the end of everything. However, when Jesus raises Lazarus from the dead, it is a game changer. Suddenly, death is not the final word and hope greater than the grave lives. Death is not the end. What does eternal life in Jesus really mean. Sometimes the pain in our lives is because we do not view things correctly and we fail to see the bigger picture. Jesus restores sight to man who has been blind his whole life. His move from living in darkness to being able to see is more than just physical, it changes the course of his life and meets his deep spiritual needs. Does your fear ever paralyze you? Do your run from dangerous situations? 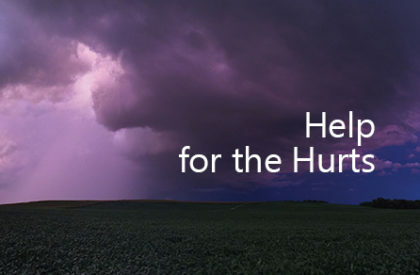 Jesus meets the disciples in the midst of a storm and deals with danger. You probably know the story of how Jesus feeds 5,000 people with a few fish and loaves. It is in all four of the gospels. But it is also a statement of the abundance that Jesus can bring. Whatever your need might be, Jesus can meet it. How do you endure long periods of suffering and how do you find joy in that place? Please don’t let this title fool you, there are more ways to disabled than just physically. We will look at the second miracle in the Gospel of John and this one deals with doubt and faith. What does the type of faith that dispels doubt look like? How does it function? We all get hurt as we journey through life. Our wounds happen at different times and in various ways.